Although they’ve garnered lots of attention in recent years, one of the questions still bedevilling people about bedbugs is their lifespan. Much has been said and written about how to prevent them from entering your home, and about the laborious process of getting rid of them once they’ve decided to invade. However, learning about the lifespan of the average bed bug may help prevent new infestations, and can help keep current ones from getting worse. 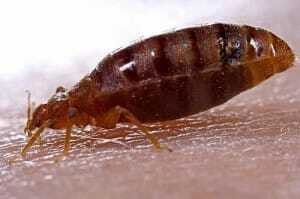 Bedbugs are champions at hiding and can sometimes be very hard to kill. It requires precise measures to kill even one. Worse, it can take up to three weeks for treatments to take effect. If, after more than about two weeks pass after you’ve attempted to rid your home of bedbugs, you begin to see signs of them around your home or on your body, it may be time to try again. Fumigation is the quickest way to kill any bed bugs at once, but it is usually the most costly option, as it requires two to three visits to make sure that it is effective.